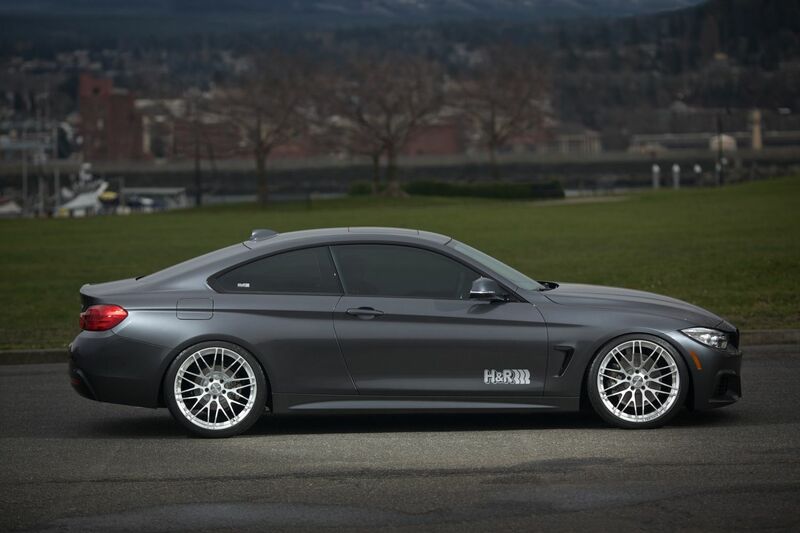 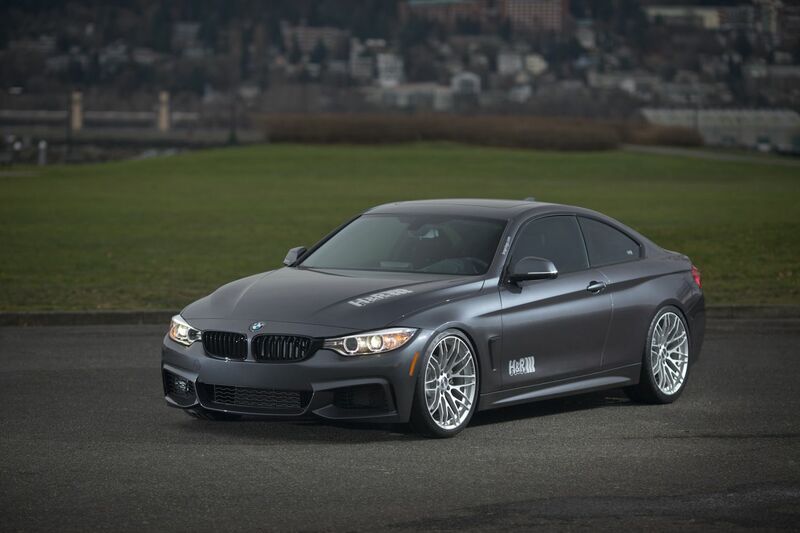 H&R 2014 BMW 428i M Sport Coupe | H&R Special Springs, LP. 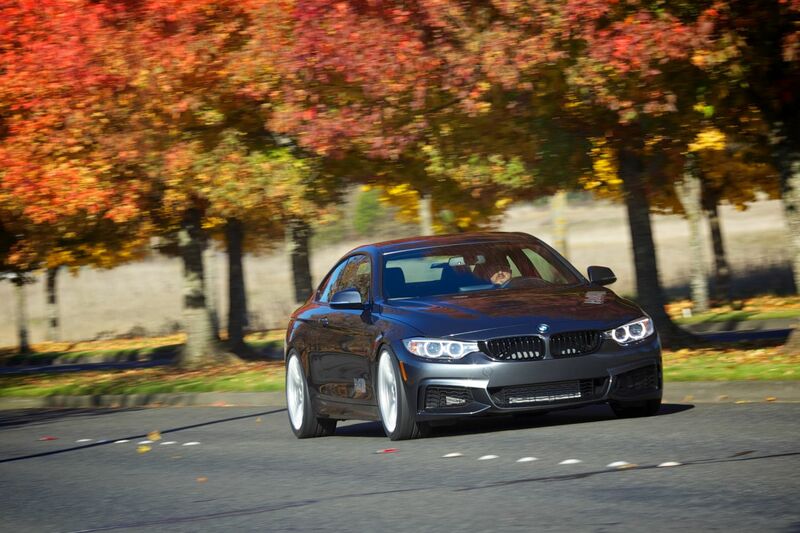 The new BMW 4 Series (F32) Coupe is here and it is a beautiful driving machine. 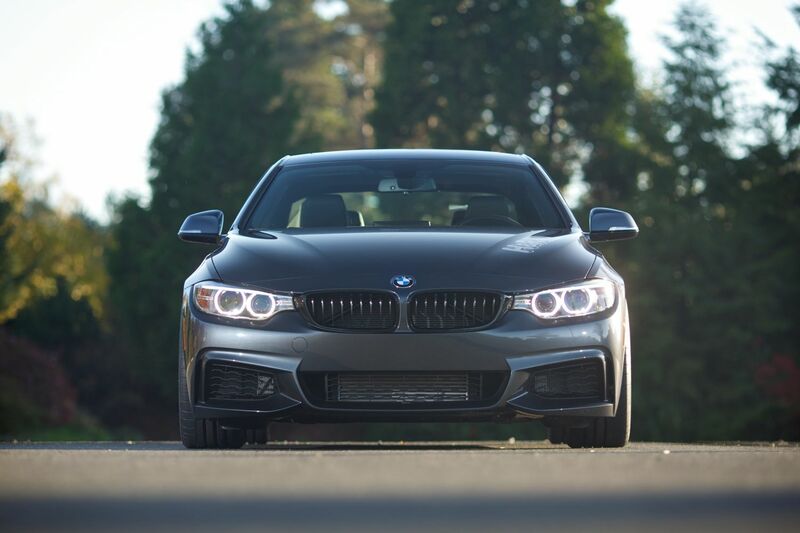 The long awaited companion to the new 3 Series sedan, the 4 Series 2 door Coupe promises to be a sure hit with BMW enthusiasts. 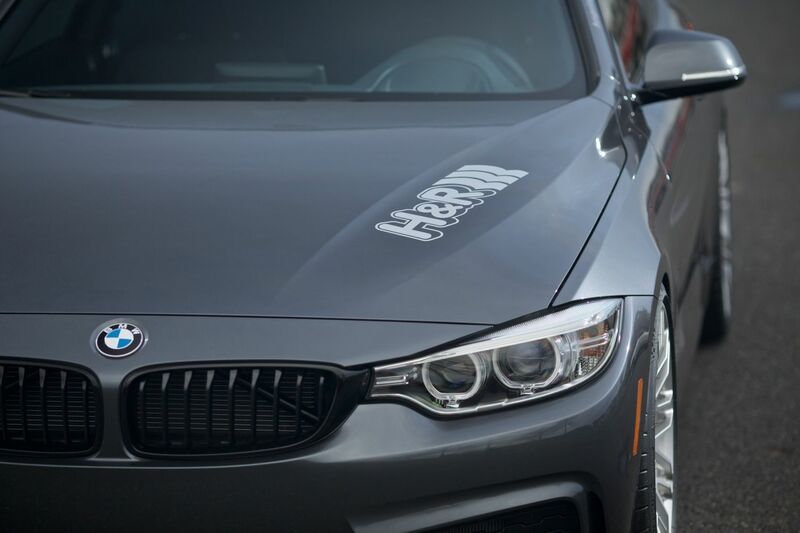 Once the project builders at H&R heard this new 4 Series would be available before SEMA, they sprang into action, starting with a call to Pat Womack at Laurel BMW of Westmont, IL to order. 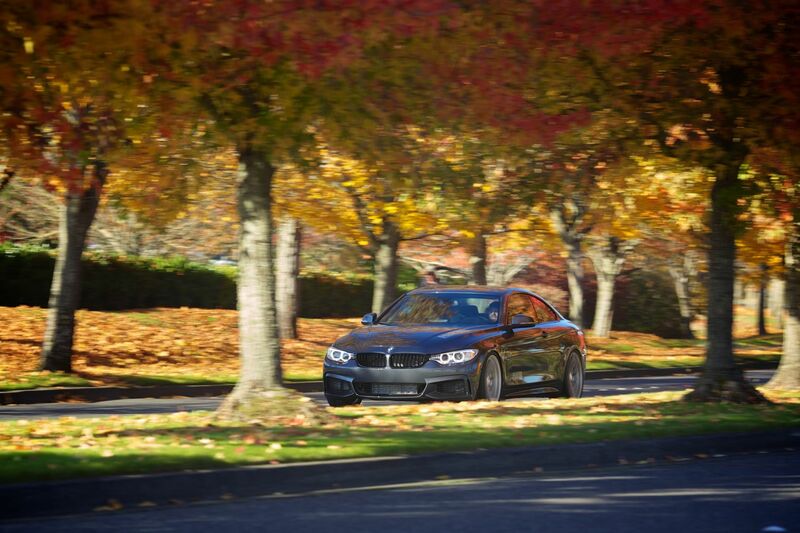 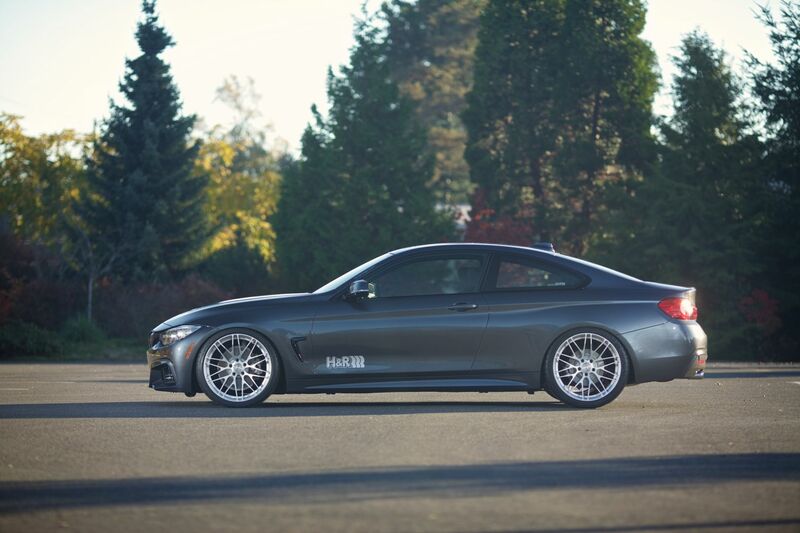 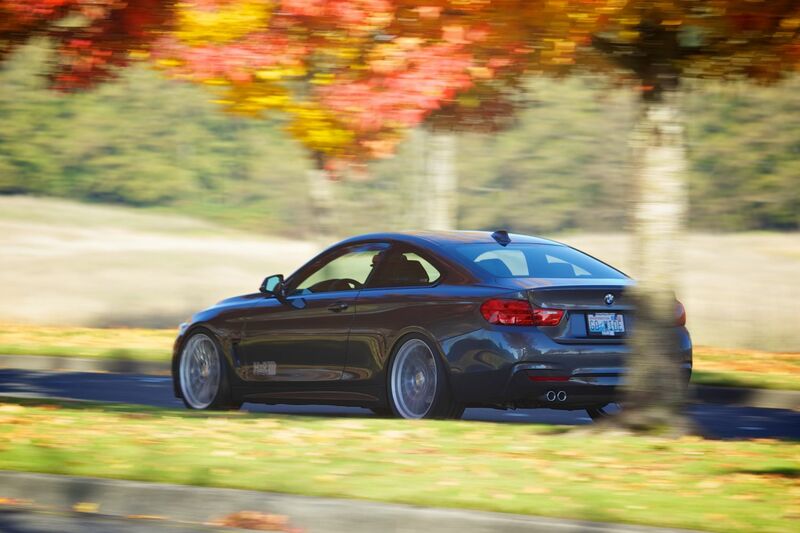 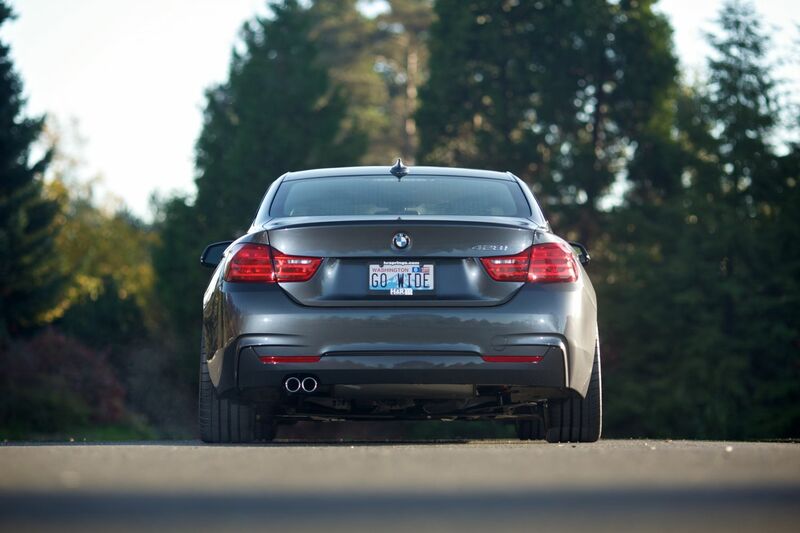 When the BMW 428i arrived in Bellingham, WA, the master tuners at H&R Special Springs went to work installing special aftermarket upgrades on this exciting project. 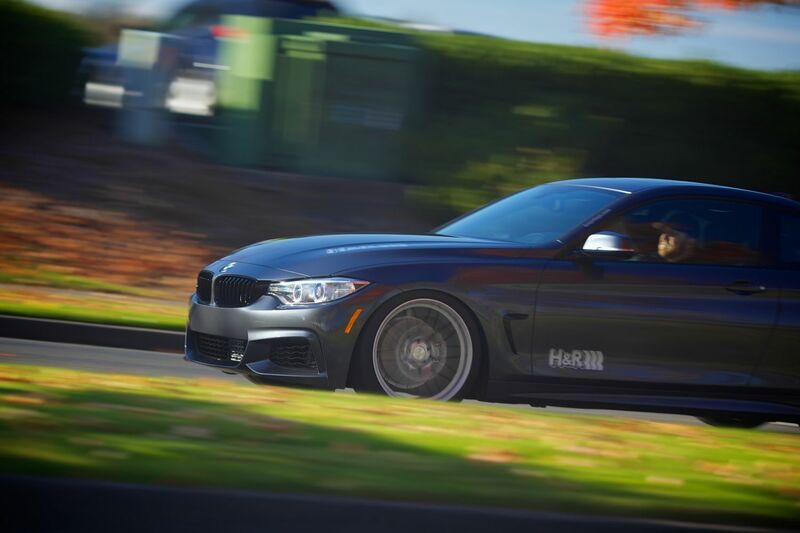 First the new BMW headed to the R&D department where H&R ride development engineers do their magic creating awesome H&R products. 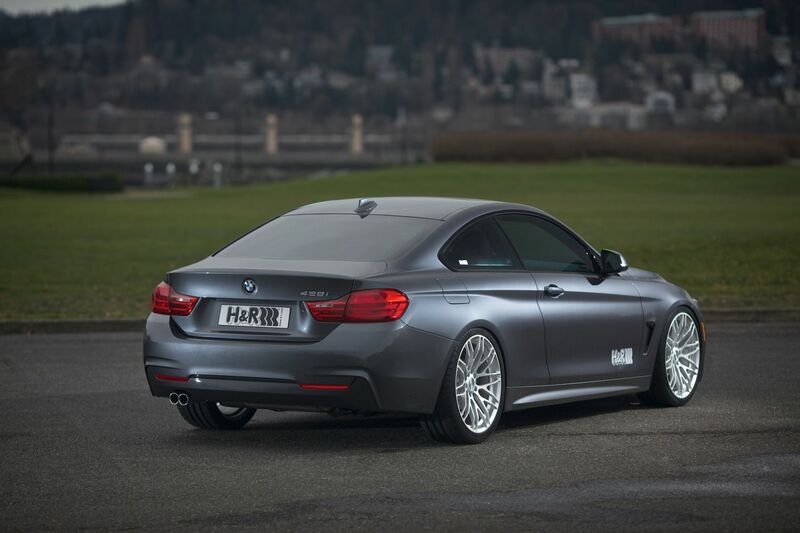 An H&R Street Performance Coil Over suspension for the BMW (F32) was installed. 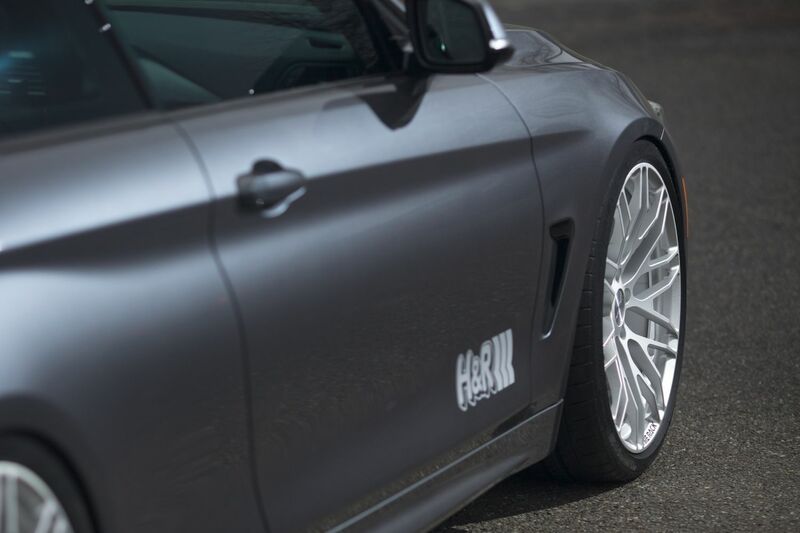 The H&R Coil Overs are set at a lowering height of 1.75” front and 1.8” rear, enhancing the look and making driving even more fun. 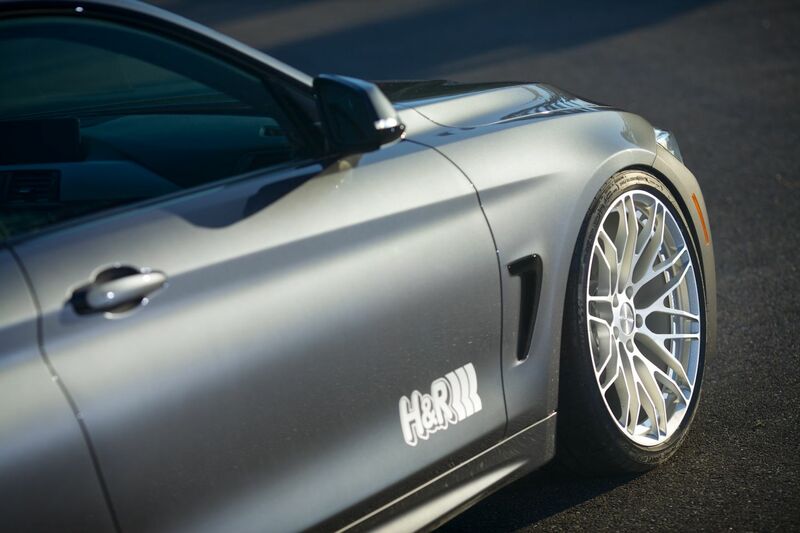 Lowering your BMW with H&R Street Performance Coil Overs improves chassis dynamics and provides that cool H&R stance. 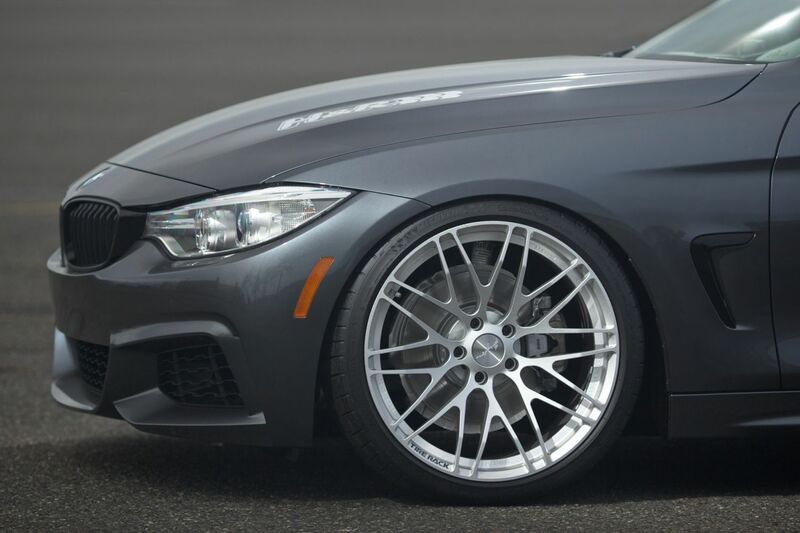 We added a set of the new Breyton Spirit RS Anodized Silver wheels, size 20x8.5”, and Michelin Pilot Super Sport tires were supplied by the Tire Rack. 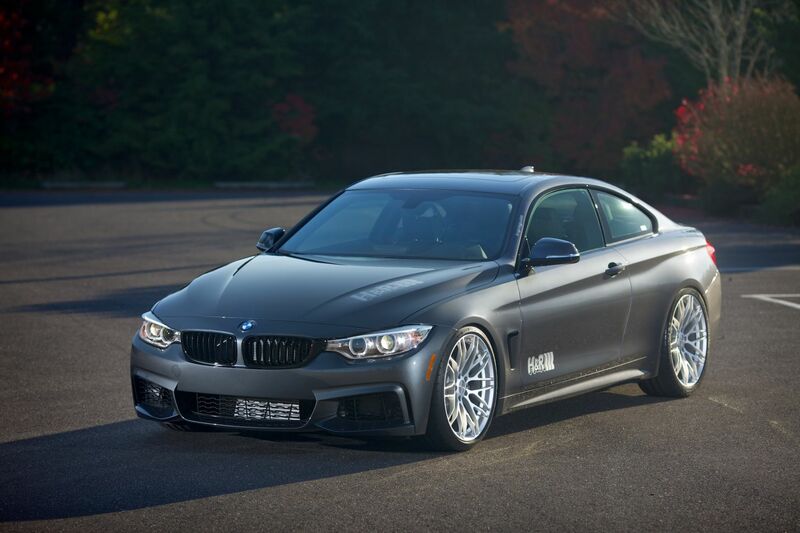 The Michelin Pilot Super Sport tires, size 245/35ZR20 front and 255/35ZR20 rear, fill the BMW wheel wells perfectly. 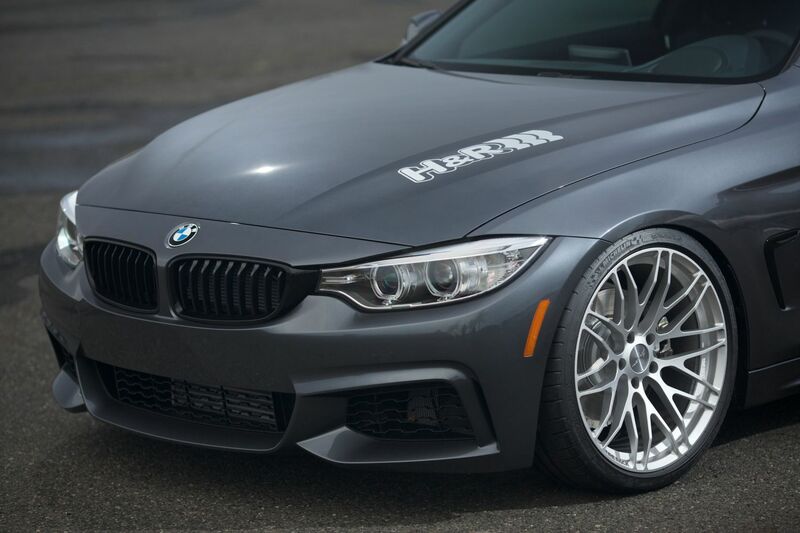 The Pilot Super Sport tires are original equipment on BMW M cars and their traction plus high performance are a great match for this project. 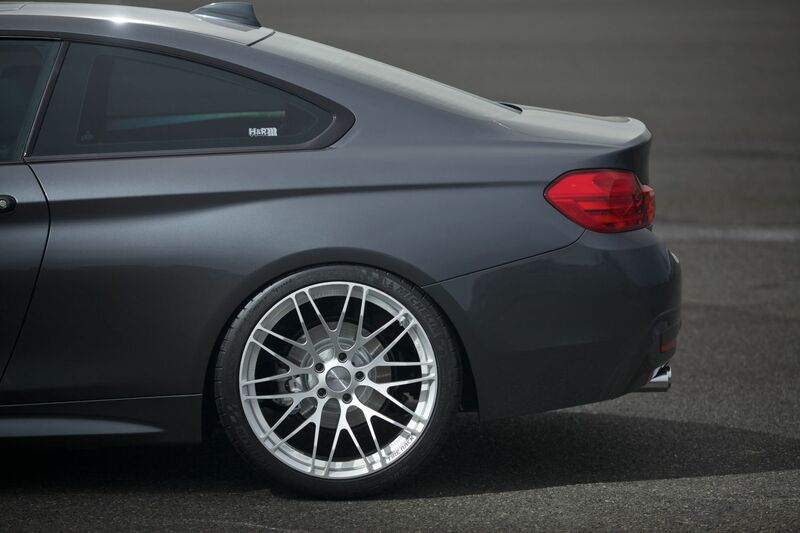 The large 20” Breyton Spirit RS wheels are one piece forged and weigh only 17 pounds reducing unsprung weight. 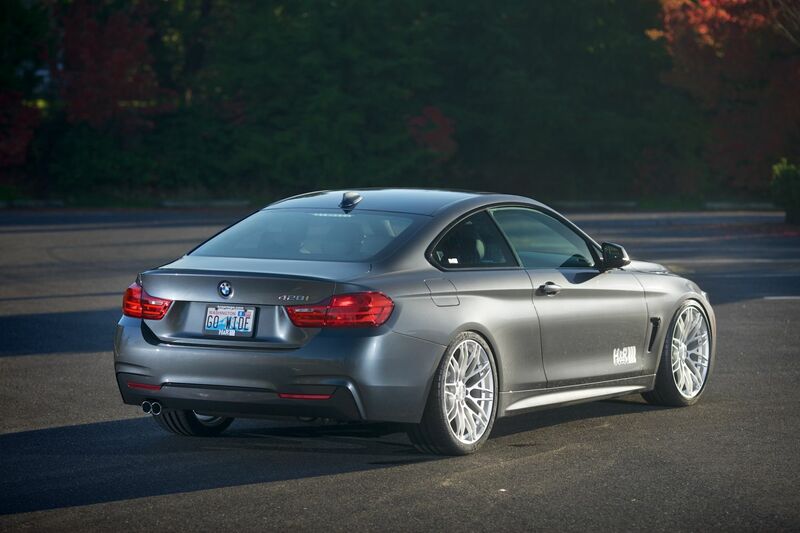 The unique anodized silver contrasts nicely with the mineral grey metallic body of the 428i. 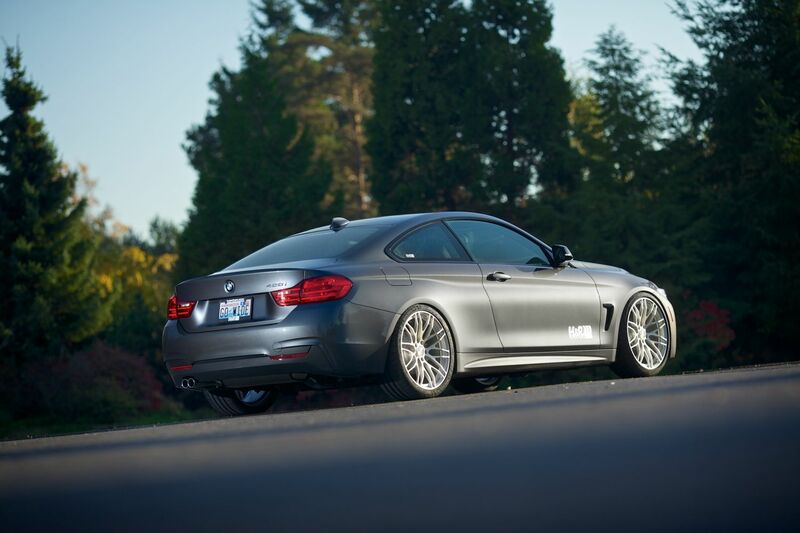 Inside, the interior features WeatherTech® FloorLiner™DigitalFit®, accurately and completely lining the interior carpet giving “absolute interior protection™!” Digital laser measurements of interior surfaces offer a consistently perfect fit. 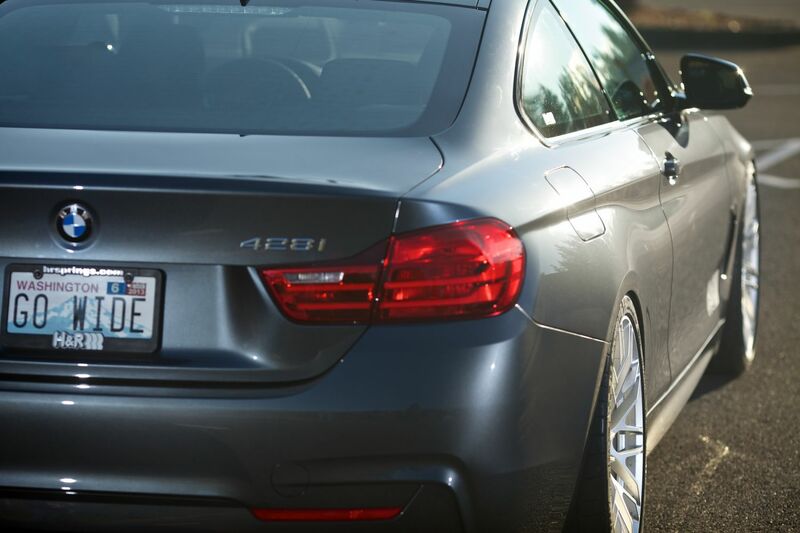 A patent pending High-Density Tri-Extruded (HDTE) material allows for a rigid core for strength while offering surface friction to the carpet as well as a tactile feel to the surface. 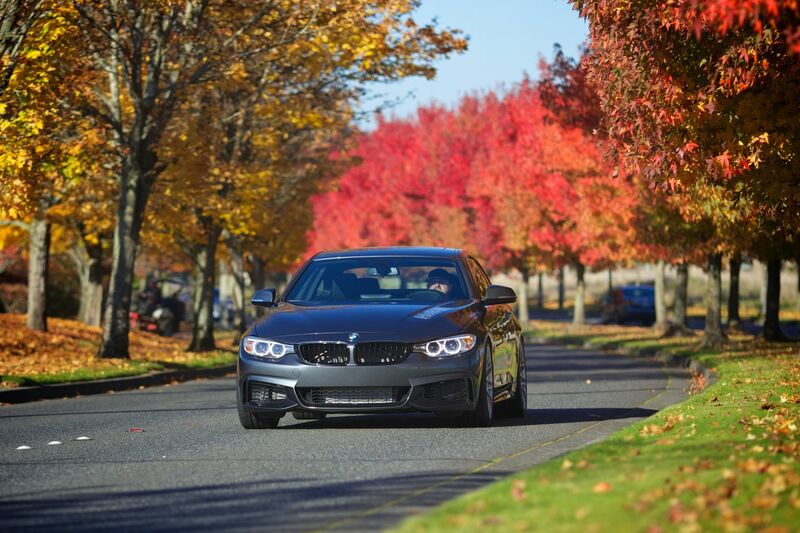 They look great and keep the 428i interior carpet looking brand new.